Homer, the ancient Greek poet, referred to olive oil as the “liquid gold” and he wasn’t mistaken. Olive oil is unbelievably healthy which is why doctors and scientists all around the world advise us to increase intake of this oil to stay healthy and prevent multiple diseases. Benefits of this liquid gold don’t stop there; olive oil is beneficial for your skin, making it healthy, youthful, and glowing. 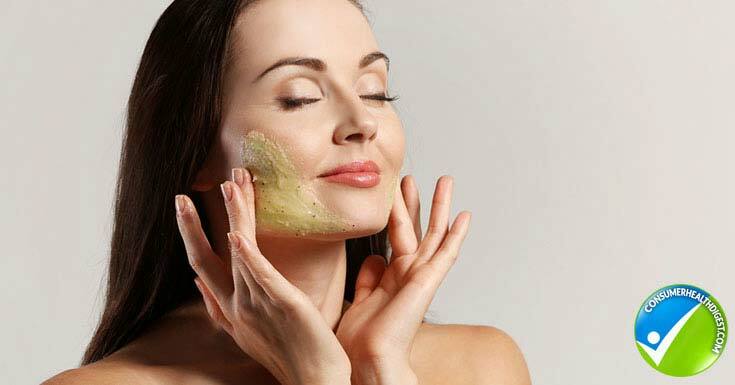 To get glowing skin with the help of olive oil, you can do many things such as making and applying olive oil scrubs. Since the healthiest oil in the world is versatile, you can make your scrub in different ways, each new ingredient has more benefits to offer. Let’s see what you can do! One of the easiest olive oil scrubs you can make is to combine 1 cup sugar with 1 cup of olive oil and add 2-4 drops of lavender essential oil. Not only will this scrub slough off dead skin cells, but you’ll also feel relaxed due to lavender’s properties. The process is easy, combine all ingredients, rub over the desired area, let sit for 3-4 minutes and rinse. While most women use scrubs on their facial skin, this one will do wonders for your hands and fingers, too. If you have dry skin then you have to be extra careful regarding the scrubs you use. Since dry skin is itchy and scaly, using a wrong product can aggravate it and cause irritations. To get nourished, hydrated skin you just need ¼ cup uncooked oats, 1/8 cup honey, and 1/8 cup olive oil. Pulse oats in a food processor until they are broken down but not powdered, transfer them into a bowl and add honey and olive oil, mix with a spoon or fork to combine. On clean skin, massage the facial scrub and rinse after 5-10 minutes. Brown sugar is a great exfoliant and it’s ideal for people with sensitive skin. Also, brown sugar contains glycolic acid which penetrates skin cells and encourages cell turnover, leaving skin refreshed and revitalized. To make this scrub, all you have to do is to combine 1 cup brown sugar, 6 tbsp. olive oil, 1tbsp. rose hip oil, and 10-15 drops of the essential oil of your choice. 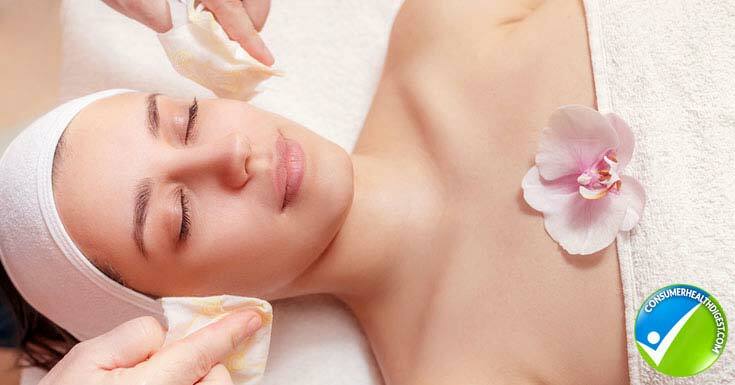 The process is the same, massage it into the clean skin, and rinse after 10-15 minutes. This is the perfect scrub that you can apply when taking your morning shower and head out feeling energetic. Plus, just like olive oil, citrus fruits are rich in antioxidants that destroy free radicals and protect your skin from oxidative damage. To make this scrub you’ll need to combine 1 cup olive oil, 1 cup sea salt, 1 tbsp. lemon zest and 2 drops grapefruit essential oil. Apply the scrub in the shower in circular motions, rinse, pat dry, and finish off with a rich moisturizer. This is more than a scrub that you can do when taking a morning shower, it’s perfect for those days when you feel like you have no energy to do anything. The “wake up” scrub will boost your energy levels immediately. Combine ¼ cup olive oil, 1 tsp of vanilla extract, 1 cup brown sugar, 15 drops of peppermint essential oil, and ½ cup used coffee grounds. When applying, focus on thicker skin areas such as elbows, knees, and heels as this scrub will make them soft. That lovely Mediterranean diet has a lot to offer; breathtaking locations, probably the healthiest diet in the world, and it comes as no wonder why scrubs inspired by this area are so effective. Blend ½ cup of sea salt, ½ cup of brown sugar, ¼ cup of olive oil, and a few drops of orange essential oil together. Apply the scrub on a damp skin and rinse thoroughly. There is no need to moisturize after this scrub. You can make this scrub easily, combine 3 tbsp. of olive oil with 2 tbsp. of honey, and ½ cup of sugar. Mix thoroughly to combine and you’re ready to use. The scrub won’t clog your pores, which is amazing. Also, don’t store it in the fridge, because it would harden the mixture. This scrub is quite similar to the morning citrus scrub you’ve seen above. To make this one, you’ll have to combine ½ cup sugar, ½ cup olive oil, and 1 tsp of citrus (any citrus fruit) zest. You know the drill, mix thoroughly, and apply in circular motions, rinse. Lemonade facial scrub is very unique. Here, olive oil isn’t incorporated in the recipe. What? Here’s the explanation: you have to slice 1 lemon and squeeze both halves into a small bowl. Then, add 2 tbsp. of sugar and 1 tbsp. of honey, mix to combine the ingredients. Then, massage olive oil into your skin (face or body) and then apply the scrub the mixture. Of course, you should keep it on for about 10 minutes or 15 minutes max before washing off and apply moisturizer. Popular OJ is more than the healthy choice of beverage, thanks to Vitamin C which acts as an antioxidant, it’s beneficial for your skin too. This scrub is easy to make, suitable for all skin types, and tanned girls/women will also benefit from it as it nourishes the complexion. Combine 3 tbsp. of orange juice with 1 tbsp. of honey, 1 cup of sugar, and a few drops of olive oil. You know what to do next. Although this may seem to you like a recipe for a salad or some summer dish, you’re about to make a scrub. Blend dried parsley and lettuce in a processor and add 1 tsp. oatmeal and 2 tsp. wheat bran. Pour a few drops of olive oil and mix well. Apply it on your skin, and rinse with lukewarm water in 10 minutes, use it twice a week. 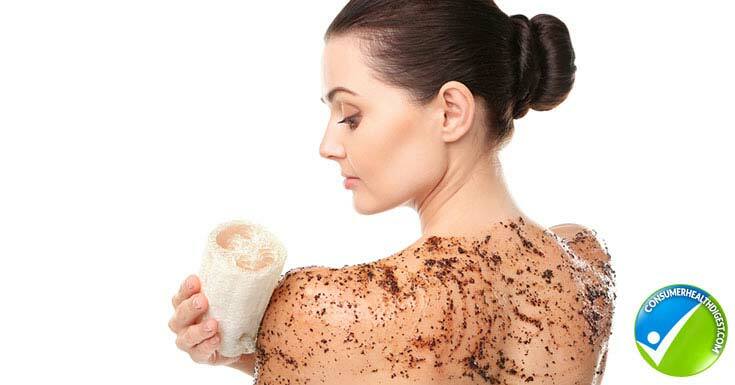 Here’s yet another coffee and olive oil scrub that will make your skin smooth, nourished, and free of dead skin cells. You’ll need 1 tsp of coffee (powdered), 1 tsp of honey, and a few drops of olive oil to reach the desired consistency. Apply and scrub for 3-4 minutes and rinse. Mix 2 tsp of pomegranate juice, 1 tsp of honey, 2 tsp of sugar, and a few drops of olive oil. Apply the mixture on your skin and keep scrubbing gently for a few minutes for rinsing with lukewarm water. The result will be smooth, firm, and silky skin. Kiwi contains vitamins A and vitamins C which act as antioxidants and improve health and structure of your skin. Peel and mash one kiwi, then add 2 tsp sugar and 2-3 drops of olive oil. Apply and scrub in circular motions for about 3 minutes, leave it on your face for a few additional minutes and wash it off. Dealing with oily skin isn’t the easiest thing in the world. Wrong skin care routine decision can contribute to even more oiliness and increase the risk of acne breakouts. If you have oily skin, you can make this useful scrub with exfoliating properties, but gentle enough to prevent overstimulation of sebaceous glands. Stir together 1 tbsp. brown sugar, 1 tsp. honey, and 1 tsp olive oil. Apply the scrub and rinse after 2 minutes. 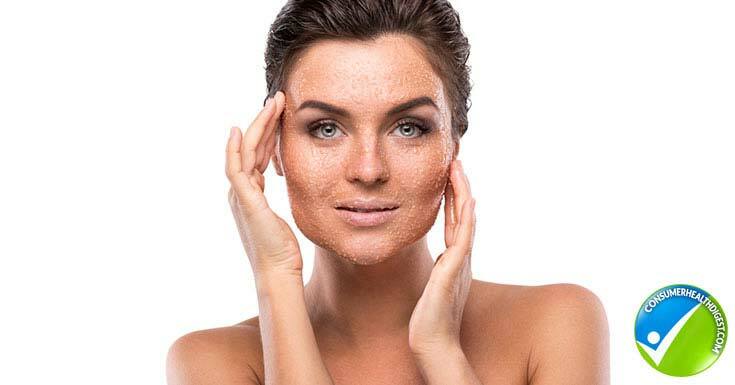 Salt scrubs are highly beneficial for areas where the skin is thicker such as elbows, knees, and heels because salt contains different minerals that keep your skin hydrated. To make this incredibly simple scrub all you have to do is to combine ¼ cup salt with ½ cup olive oil to make a paste. That’s it. This is a gentle body scrub that still eliminates dead skin cells and other impurities, thus making your skin feel revitalized and nourished. Using a blender or food processor pulse ½ cup oatmeal (break them down but don’t powder them). Transfer oats to a bowl and add 1 cup coconut oil, ½ cup brown sugar, 1-2 tbsp. olive oil, and 4-5 4-oz jelly bars. If you have acne, then this scrub can help you; it is gentle, yet powerful enough to remove dead skin cells and prevent excessive production of sebum which is something that expensive products you buy in drugstores can’t do. Combine ½ cup brown sugar, ½ cup granulated sugar, 1/3 cup olive oil, 2 tbsp. honey, ¼ tsp vanilla extract, and ½ tsp Vitamin E oil. The process is the same like with other scrubs, you can apply this one on your face, neck, cleavage, hands, etc. Both coconut and olive oil are considered as the two healthiest oils on the planet and they also happen to be extremely beneficial for your skin. 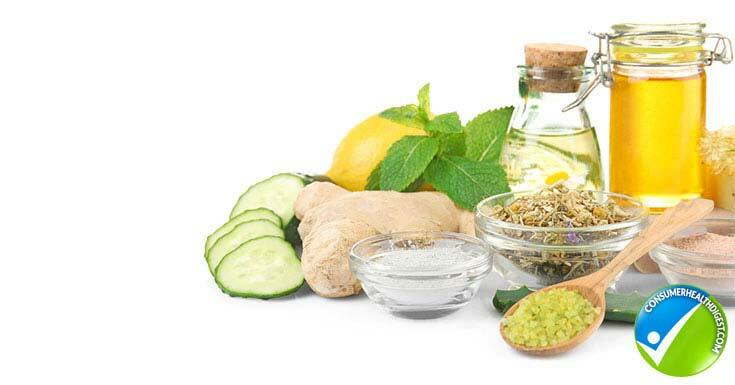 Then applying a scrub that contains both these oils can only guarantee smooth, nourished, and glowing skin with even complexion, without acne or visible signs of aging. Take a bowl and combine 1 cup coconut oil, ½ cup sugar, 1/3 cup fresh coffee grounds, 2-3 tbsp. olive oil, 4-5 4-oz jelly bars. The process is the same, apply in circular motions, let stay at least 3-5 minutes, rinse off, and moisturize. To make this refreshing scrub you have to puree 1 large cucumber in a blender, transfer it to a bowl and combine with 2 tbsp. fresh mint leaves, 2 ½ cups granulated sugar, and 4 tbsp. virgin oil. You can store the mixture in the fridge for future use. Sage leaves are known for their ability to improve blood circulation and stimulate cell renewal. To make this anti-aging scrub you need to puree 1 cup olive oil and 4-6 fresh sage leaves for one minute on high. Pour the puree mixture into a bowl with 2 cups sea salt, ½ cup date sugar, and 1 grapefruit zest. Apply the scrub onto the skin and rinse after one minute. Making this body scrub is easy, combine 4 cups brown sugar, 1 cup olive oil, 1 cup almond oil, 5 drops peppermint essential oil, and ½ tsp vanilla extract. This is a gentle scrub that will benefit people with sensitive skin. Almonds contain Vitamin E which acts as an antioxidant and protects your skin. Also, almond is a great source of proteins and vitamins that keep your skin hydrated. Your skin will love this powerful, yet gentle scrub. You’ll need to blitz 1 handful almonds, 1 orange peel, 1 cup olive oil together and the scrub is ready to apply. This is the type of scrub that will remove even the most stubborn dead skin cells and smoothen thick or rough skin. Mix and combine 3 tsp Epsom salt, 3 tsp baking soda, 1 bag green tea leaves, and work in 4 tbsp. olive oil. Apply as usual, in circular motions, let it stay a few minutes, and wash off. Shea butter has anti-inflammatory and moisturizing effects, meaning this scrub won’t only remove dead skin cells and other impurities, it will also nourish and moisturize your skin at the same time. Use a double boiler technique to melt ½ cup shea butter. Once it is melted, whip it up with a mixer until it’s fluffy and smooth. Then, add 3 tbsp. olive oil and 3 tbsp. coconut oil, mix again and add a few drops of your favorite essential oil (optional), and ½ cup sugar. Mix thoroughly to get a unified mixture and apply as you normally would. Olive oil is associated with a multitude of health benefits, but it also has a positive impact on your skin. The liquid gold is versatile and makes a perfect match with a plethora of other ingredients, as demonstrated throughout the article. All you have to do is to start making your own scrub.